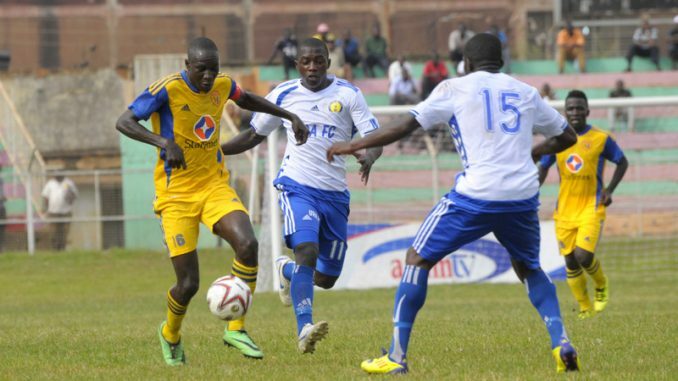 KCCA FC defender Dennis Okot in action. Courtesy Photo. Uganda League champions KCCA FC travel to Pretoria, South Africa this afternoon to face Mamelodi Sundowns in the first leg of the CAF Total Champions League tie on Friday. Team skipper Dennis Okot told this publication that they are not worried of facing the African champions Sundowns. 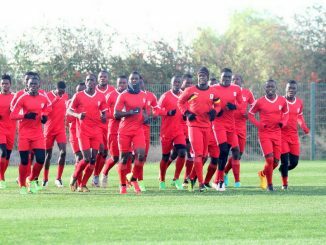 “We have prepared well and are ready to prove a point away from home,” Okot added. 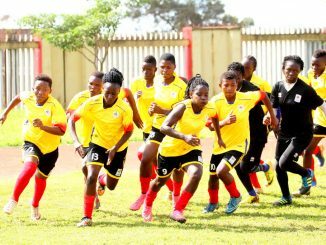 After ejecting Angola’s Premeiro de Agosto in the preliminary round, Coach Mike Mutebi’s team is hungry to get a good result at the Tshawane Lucas Moripe Stadium. “We continue to work hard because the team we are facing are very experienced and we know what to expect. But we need to make use of our away game and score some goals,” said Mutebi. KCCA FC will rely mainly on former South African based professional Geoffrey Sserunkuma who scored twice in the preliminary round and is also the Azam Uganda Premier League leading scorer with 12 goals. “I like the fact that we shall play an African champion because this means there is a lot at stake. 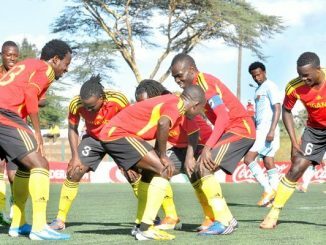 “We need to get a good result away before our home game,” added the striker who was also part of the Uganda Cranes team at the 2017 Total Africa Cup of Nations (Afcon). David Tamale, the KCCA FC Chief Executive Officer told this publication on Tuesday that they have also called off the international friendly with National Division side University of Pretoria on Wednesday. “Some of our younger players who still have visa challenges will now on Wednesday or Thursday,” he added. Uganda Cranes first choice goalkeeper Denis Onyango who has been out injured could however miss the game for Sundowns. The aggregate winner between KCCA FC and Mamelodi Sundowns will qualify for the lucrative group stages of the competition.